Hitting the road with family & friends this summer? 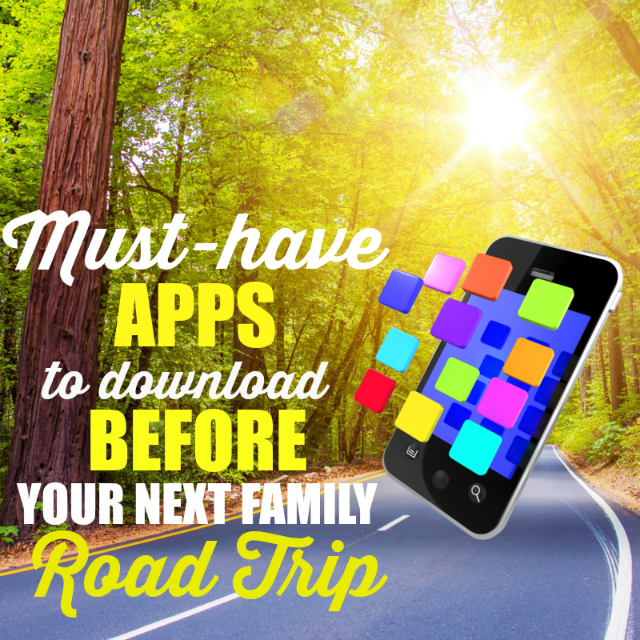 Download these must-have apps before your next big road trip, and you'll be so glad you did! From off-beat attractions that will delight & amaze, to the best gas prices, hotels, great tunes, and fun ways to record it all ... there's an app for that! Spotify: We all know a road trip isn’t manageable without the perfect music to get you through the long hours of driving. With Spotify, it’s simple to find the right music for every individual. This app allows you to search and listen to any artist, genre, or song of your choice, and even allows you to create your own playlist of all your favorite tunes. Waze: The days of stopping at a gas station to get the latest edition of a state map are over. Waze guarantees you’ll never get lost along your travels – and it even helps you avoid traffic jams, road hazards or accidents along the way. The app’s information is user-generated, so help your fellow road-trippers and report what you see while you’re driving! Gas Buddy: Gas Buddy helps individuals find the lowest gas prices on their route, and saves them money every time they have to stop. This app is powered by users providing gas price information, so everyone has the ability to receive and report such prices. Roadside America: Sometimes, the best parts about summer getaways are the spontaneous stops along the way. Roadside America compiled a list of more than 11,000 “offbeat attractions” across the country. It’ll help guide you to places you never even knew existed – and it’s sure to give you a few extra stories for your friends back home. The Traveler: This app is the perfect way to capture your entire road trip in one package. It is essentially a digital sketchbook and trip journal that allows you to document videos, photos, drawn sketches, audio clips, location markers, and GPS tracking in an organized and efficient way. Download this app so you can share your road trip experiences with friends and family in real time – and keep your memories fresh forever. Thanks so much to our friends at AT&T for compiling such a great list! Please be sure and remember: While your driving, It Can Wait. put a road trip passenger in charge of running these great apps while you're on the road.